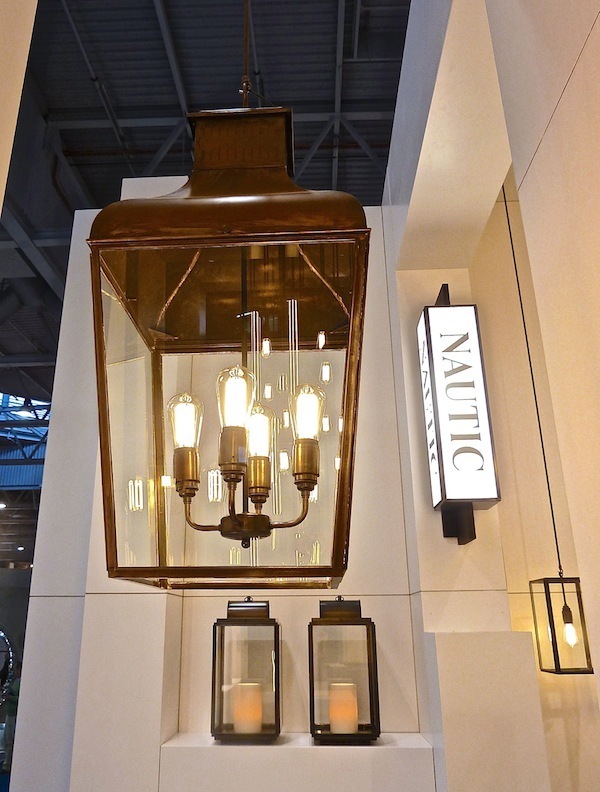 While wandering the overwhelming halls at Maison et Objet, I was stopped by the stunning lighting at Nautic. 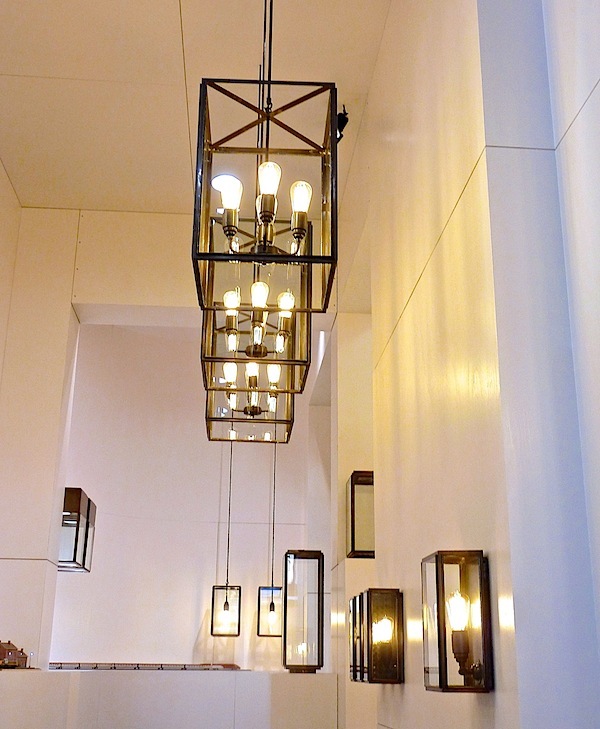 Part of the Belgian lighting company Tekna, Nautic, celebrating their 20th anniversary this year, is an elegant architectonic line of bronze, copper, cast iron and brass lights. With industrial references, and inspiration from old trains and ships, the fixtures have a sophistication that belies their simple forms. In a small world occurrence, I ran into friend, designer Francine Gardner at the booth. Francine is also proprietor of the chic shop Interieurs in NYC and informed me she is the exclusive distributor of Nautic in the U.S. Such a coincidence but really not surprising when you consider Interieurs’ motto is modern soulful living – a perfect description for this handsome line as well. The Ilford lights above and below are incredibly versatile designs, available in a wide variety of iterations. Available for indoor and outdoor use, the Montrose large pendant in weathered brass below is pure in form with a handcrafted finish and ready made patina. The simplicity of shape and refined details give this archetypal lantern shape its understated cool. And on the shelf behind are the Penrose hurricanes – perfect for stylish entertaining indoors or al fresco. And for those who prefer a less rustic finish, unweathered brass is also available, as seen on this Montrose city sconce. 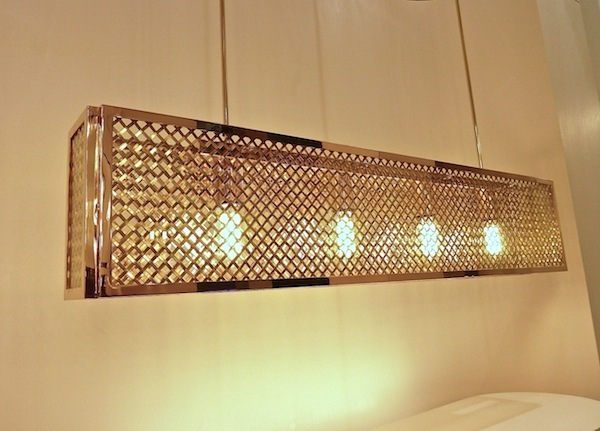 The power of negative space is cleverly harnessed in these urbane Marlow wall lights. Modifying a classic shape, they are transformed into clever made-you-look twice fixtures, generating a gentle glow. The jewel-like casing on this new chandelier is graphic luxe. An elegant statement piece, it radiates glamour in the most understated way. And finally, this grouping of Thorn Pete pendants is hard to experience in a photograph. It was always like walking through a hailstorm of lights. And the beauty of Nautic’s stand was not just in its fixtures but also its bulbs. The new Caret Squirrel Cage lamp, used in all of the above, is Tekna’s answer to the disappearing incandescent bub. 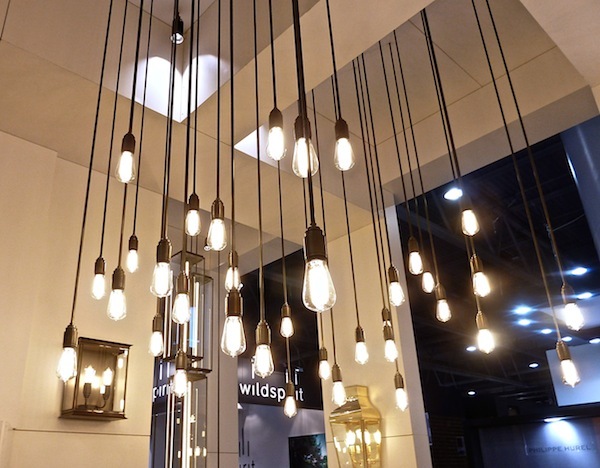 With an aesthetic eye to the past, the Caret Squirrel Cage is energy efficient and offers a warm golden glow. Beauty and innovation with inspiration from the past but with a modern sensibility – this is the essence of Nautic. This entry posted in interior design, travel. 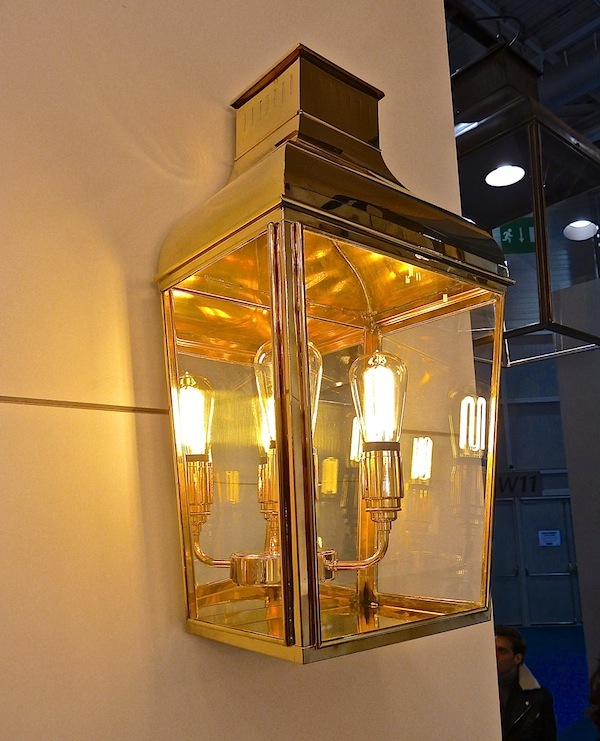 Entry Tags: Belgian design, Francine Gardner, Interieurs, Maison et Objet, Nautic lighting Bookmark the permalink. This is a beautifully written post on Tekna! leave it to chance, both walking into the Tekna booth at the same time. Not only do i really love the collection but the husband and wife time Erik and Veronique Huysman are the nicest, most creative and interesting people to work with. Love these lanterns, thank you for sharing this company with me. The traditional designs are exquisite and I’m loving the modern approaches as well. 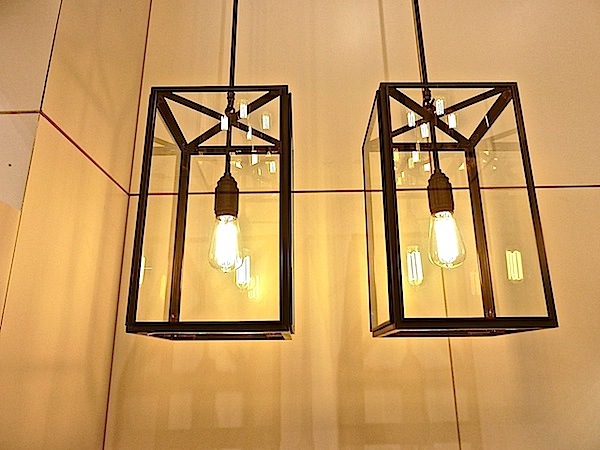 I just love the Montrose pendant–classic yet edgy–will have to find a place to use that fixture! Such a stunning collection of lighting. Leave it to you to find the most beautiful things. 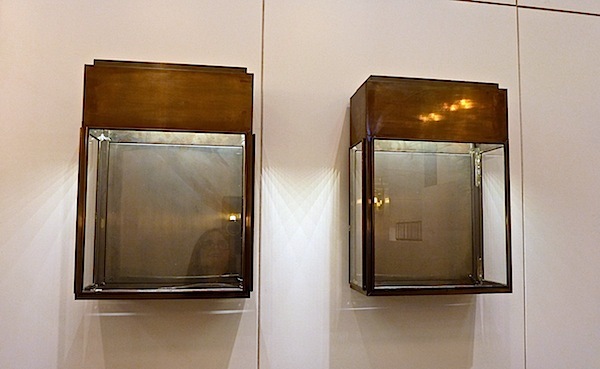 What stunning fixtures – coveting the unweathered brass lanterns for our beach house….fabulous!! All the photos are beautiful, but the most I like the before last. 80 queries in 0.420 seconds.